Increased political polarization has fueled the growth of the far right wing and repression of social movements, writes Sarah Roure. Last week, the Lower House of the Brazilian Congress voted for the impeachment of the country’s President, Dilma Rousseff, a move that mirrors the 1964 military coup that still leaves scars on the Brazilian people to this day. Labelled the ‘Shame Day’, government deputies immediately started preventing the president from fully exercising her mandate despite being elected in 2014 with 52 million votes. This moment could potentially end the country’s democracy, in place since 1985, and is rapidly causing distress throughout civil society. Most of the parliamentarians who voted against the president are implicated in accusations of dishonesty, mainly involving large sums of money in tax havens. Masked by corruption, the Chamber of Deputies boasts a false majority that authorized the impeachment of a leader that has not evidently committed a crime, claimed the Landless Workers’ Movement (MST) – a partner of Christian Aid. Brazil’s political and economic crisis is threatening efforts to reduce poverty in the South American country and is, in fact, contributing to deepening poverty. Setbacks in social policies and constitutional rights are already on the table and will get deeper if Rousseff´s government is over. Vice President Michel Temer, who has been instrumental in Rousseff’s demise, has already declared his intention to step in as replacement president, stating he will reduce labour rights, reduce public expenses, increase tax for the poorest and middle class, and allow a reduction in control over international companies exploring national fossil fuel reserves. The President of Congress, Eduardo Cunha – who is mentioned in the Panamá Papers – and has several other corruption accusations against him, would become the Vice President and will now be in a better position to ensure he gets away with it and increase the impunity of his crimes. Rousseff’s impeachment has led to increasing conflicts within society and repression against social movements, due to the polarised debate and the growing of extremely right wing groups. Fifteen days ago in the state of Paraná, the Military Police and gunmen attacked member families of the MST, murdering two workers – Vilmar Bordim, 44, who left a wife and three children, and Leomar Bhorbak, 25, who left behind his wife who is nine-months pregnant. At least seven workers were also wounded. We have learned that after two years of strong resistance by the rural and forest-dwelling quilombola communities in the Amazon (supported by Christian Aid’s local partner CPI) against boxide mining on their land, the governmental department IBAMA has authorised the mining company to go ahead with the study and start mining on the quilombola’s lands, a move that violates the constitution. Additionally, CPI is being sued by a big land owner for speaking out against his involvement in violent acts against quilombolas communities. The decision by congress now has to be approved by the senators and then, if approved, would go to the Supreme Court. Temer himself also faces the possibility of impeachment proceedings over the same budget manipulation issues as Rousseff. This process will take about six months in which the country will be paralysed as a government that isn’t directly elected by the people will have no social legitimacy to act. Thankfully, every day new social groups, churches and others within Brazil and abroad are denouncing this coup process, a situation that has already happened in Paraguay and Honduras in recent years. Social networks, trade unions and social movements along with lawyers, artists, journalists, students, scientists, teachers, celebrities and musicians have been campaigning on the streets in defence of democracy. ‘As churches committed to social justice, we need to be ready and overcome initiatives from those who are not committed to social inclusion and affirmatives policies,’ says Francisco de Assis da Silva, the Primate of the Episcopal Anglican Church in Brazil. Civil society groups are concerned about the implications of any policy change in relation to the rest of Latin America, due to the importance of Brazil as a regional power. 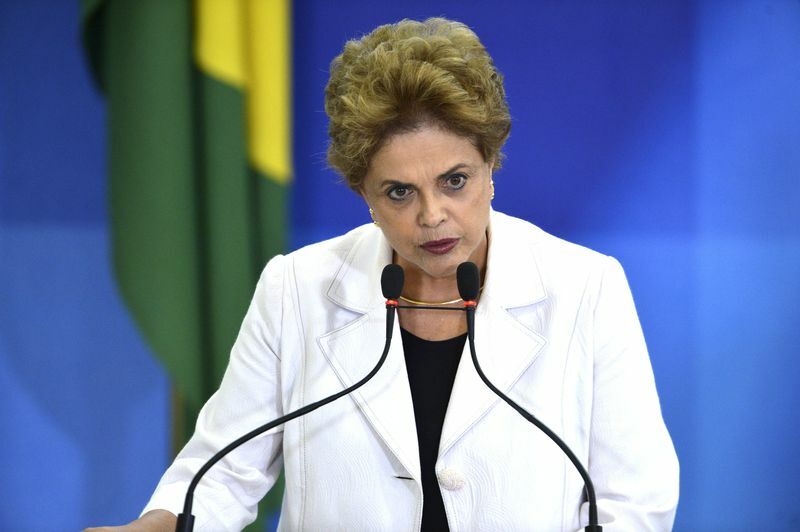 A change in the Brazilian government is a game changer for the whole of Latin America. Brazilian civil society is deeply engaged in pushing the senators to guarantee democracy in the country. ‘We will keep the struggle to stop the on-going coup now in the Senators’ Chamber and then make a step toward a real democracy in our country. This is the only way to overcome corruption,’ states the MST. It is still too soon to predict the implications for international non-governmental organizations but a recent joint statement between ecumenical European agencies declared, ‘We will stay alert and fight for democracy, its expansion and consolidation, as well as for the rights conquered so far and those to be claimed.’ The on-going process concerns not just the Brazilian people, but the entire international community committed to democracy and equality. Sarah Roure works in Christian Aid’s Sao Paulo office.